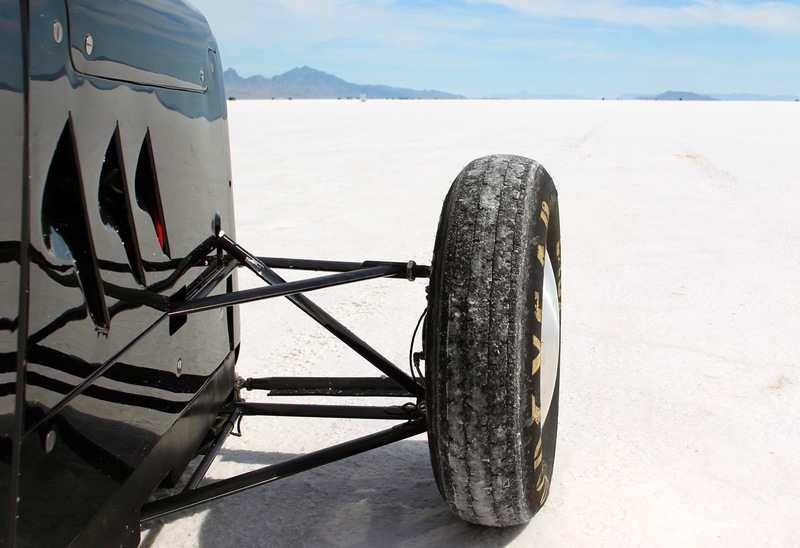 Bonneville’s an amazing place for so many reasons. I just learned of one more. I read and reviewed a book about Baldwin Motion, you know the “Phase III”, Motion Performance, “Dragon Snake” guys?? Well that was written by Martyn Schorr who’s now my Facebook buddy. 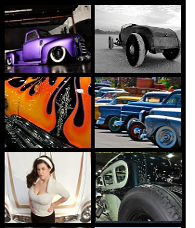 He told me about the Bonneville Racing Team 608 he’s a part of and forwarded this story. I had to publish it. Greatest thing is, as good as the people are on the salt, this doesn’t surprise me. GO FAST – DO GOOD! 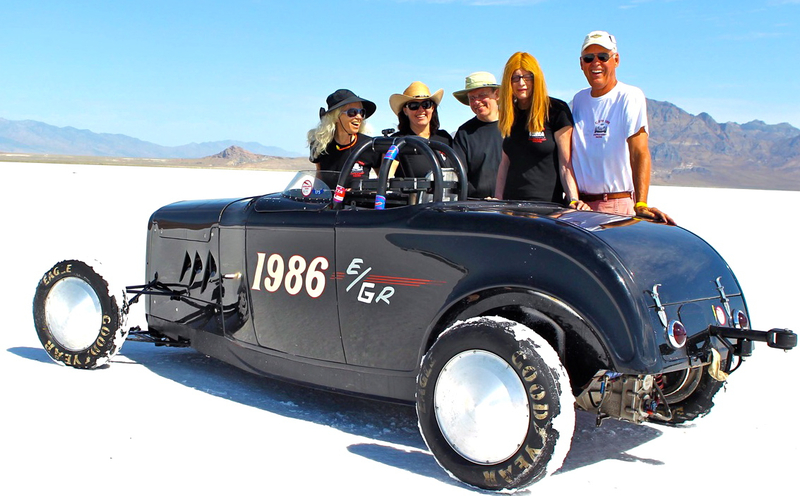 Grassroots racers run a Lakester and Roadster on the Salt Flats to raise money for, and awareness of, health-related charities. 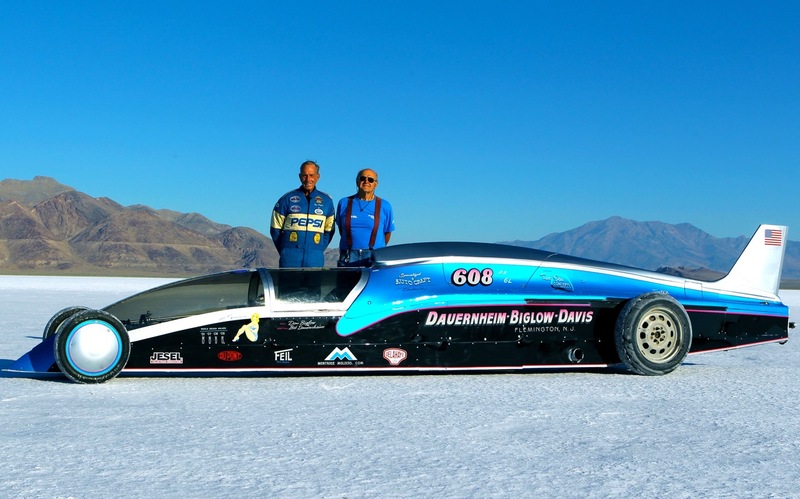 Team 608, a 100% volunteer, grassroots land speed racing team, is comprised of lifetime hot rodders and drag racers who have been competing at Bonneville for more than a decade. Since 2006, Team 608 has raised and donated in excess of $95,000 for charities: Susan G. Komen For The Cure (Breast Cancer), Juvenile Diabetes Research Foundation (JDRF) and Autism Speaks. Next month, they are going back to the Salt to once again support JDRF. Tony Feil built the Lakester’s naturally aspirated, dry-sump-lubed 582 cubic-inch Chevrolet big-block style Dart engine. It features a Big M cast iron block and Big Duke aluminum heads topped off with dual four-barrel carburetors. 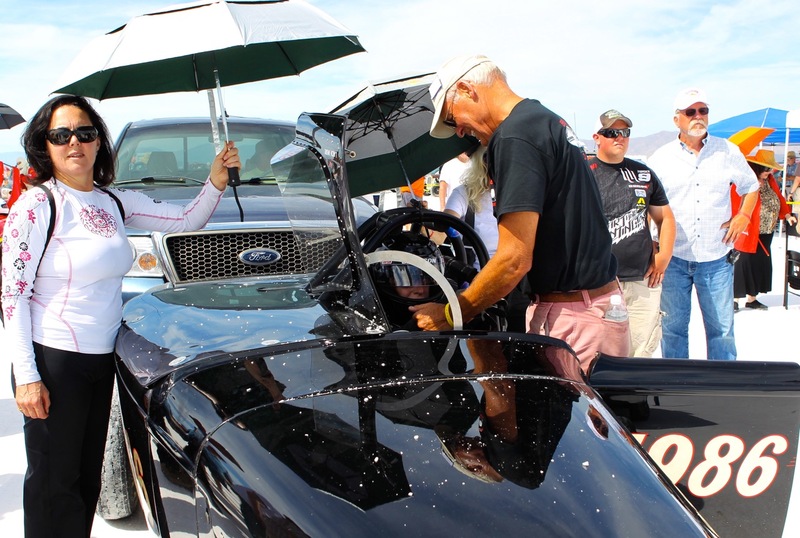 Latest dyno tests show approximately 2.1 horsepower per cubic- inch on 114 octane racing gas! 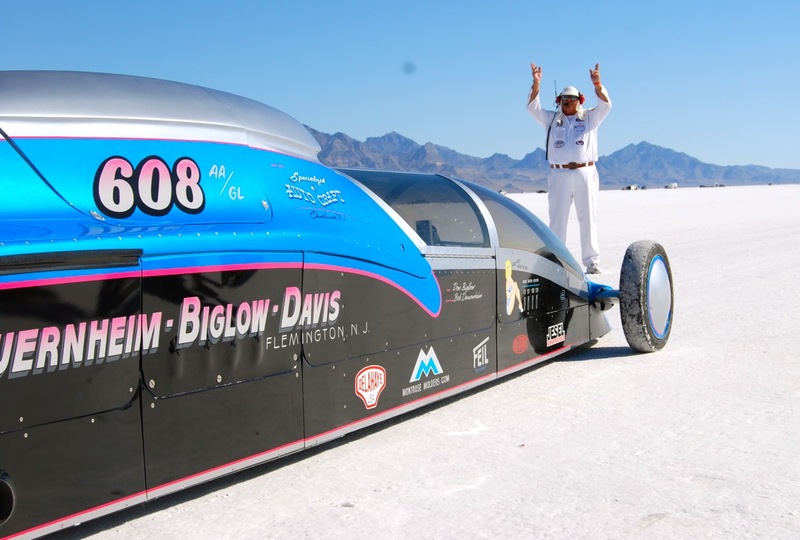 Last year the Lakester experienced some engine problems yet was able to clock 318 mph. 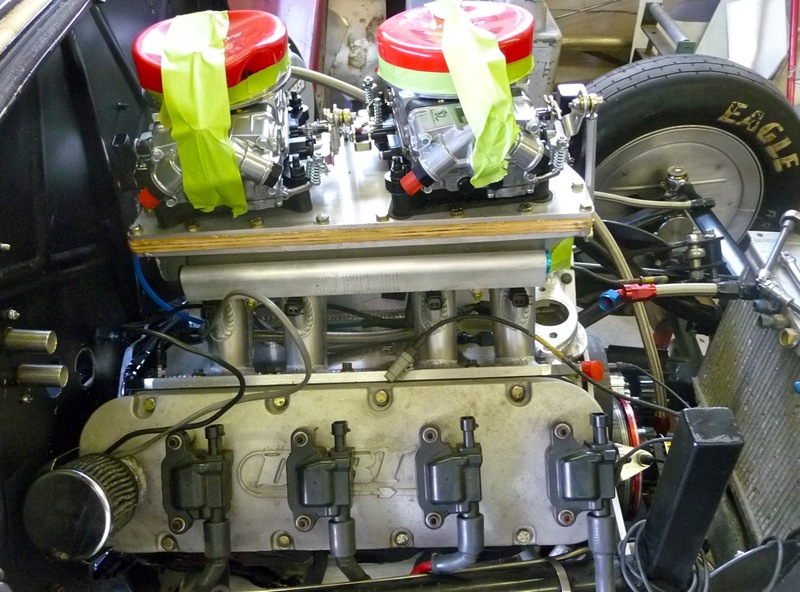 This year the 15-to-1 compression engine has been rebuilt, fitted with larger carburetors and has been dynoed at approximately 1,200 horsepower. Aw Gee Dad, Kin I use the car today, PULEEZE ! I promise I won’t go faster then 300 really . I’ll evev mow the lawn for ya.!!! !